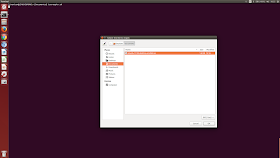 Although it is expected to run the script on a Linux machine typically running 64-bit Ubuntu or a 64-bit Ubuntu based OS it also works on a Linux virtual machine on Windows (see below for further details). You will need certain packages like 'squashfs-tools' and 'xorriso' installed (use 'sudo apt-get install -y squashfs-tools xorriso' to install them) plus 'zenity' if you want to use the GUI. 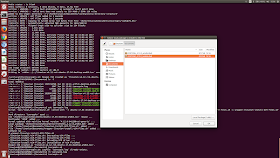 As different Linux distros have different packages installed by default the script will first check and notify you if any other packages are required. You will also need at least 10 GB of free space but this can be on external storage (e.g. a USB) as it can be specified as a location different to where the script is run from. For some options (such as updating the kernel) you will need a working internet connection as the script needs to download software. Also the script needs to be executable which can be achieved using the 'chmod' command ('sudo chmod 755 isorespin.sh'). As the script runs some commands (e.g. mount/umount) which require root access using the 'sudo' command you will initially be prompted for your password and must already have 'sudo' privileges. Finally some restrictions: you cannot respin an ISO that is EOL (End Of Life); you cannot respin an ISO on an OS that doesn't support 'systemd' when using the '--apollo' or the '-b Linuxium' options; you also cannot respin an ISO if the ISO doesn't support 'systemd' when using the '--atom', '--apollo' or '-b Linuxium' options. --check if the version of the script is the latest or can be upgraded. 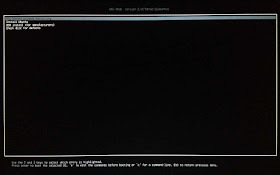 -b or --boot will add either the 32-GRUB boot loader (which is added by default) the rEFInd boot manager or a Linuxium bootscript which currently is required for booting on a lot of the current Intel Apollo Lake devices. -c or --command will execute the supplied argument as a 'bash' command. Care must be taken when embedding single or double quotes within the argument as they are subject to interpretation. 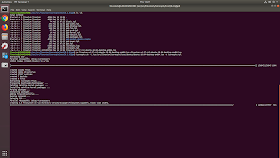 For more complex commands it is often both advisable and easier to write a simple shell script and use the '-c' option to execute it as part of respinning. If the command includes an 'update-initramfs' then the ISO's boot kernel and/or initramfs will be updated to the latest currently installed versions on the ISO. This advanced functionality allows a kernel and/or initramfs to be both updated and then booted using commands rather than through kernel package installation requiring the use of '-u', '-k', '-p', '-l' or '--rolling' options. -t or --template will add the contents of the specified file as respinning options. --apollo include the flags, packages, scripts and commands that I recommend when respinning an ISO for a device with an Intel Apollo Lake processor and mirrors the manual invocations of '-b Linuxium -p binutils -f update-modules'. The files are automatically downloaded from the internet if they are not found as part of the command invocation and this should simplify respinning for those looking something quick and easy. Both these new functionality require that you have the 'curl' package installed as well as the 'p7zip-full' package installed if using the '--atom' option prior to running the respin script however the script will check and warn you if it is missing. Templates are similar to how the processor options of 'atom' and 'apollo' work in that a template is a list of options to be included when respinning are useful when you find yourself using the same combination of options. Typically each combination is to include a specific type of functionality. An example might be for someone with a Broadcom wifi device always having to load and move the NVRAM file to its required location. There actually is no reason why the '--atom' option cannot be included within a template however it ​would ​make sense to call the template​ ​something ​​meaningful e.g. 'atom-wifi.tpl'. -g "i915.fastboot=1 i915.semaphores=1 fbcon=rotate:1 gpd-pocket-fan.speed_on_ac=0"
Whilst this can be stored as a template ​to simplify things further template​s​ can in turn contain templates so a com​p​lex respin ca​n​ both be easier t​o build and understand. To assist in building templates each time ​'​isorespin.sh​'​ is ​successfully run a template file 'isorespin.tpl' ​is ​created containing the options used in respinning excluding the ISO option. 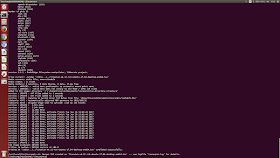 --package "xfonts-terminus thermald tlp va-driver-all vainfo libva2 i965-va-driver gstreamer1.0-libav gstreamer1.0-vaapi vlc python-gi git python gir1.2-appindicator3-0.1"
--grub "i915.fastboot=1 i915.semaphores=1 fbcon=rotate:1 gpd-pocket-fan.speed_on_ac=0"
where '/<path>/' is the full path to the specified file. If your device uses a Broadcom wifi chip and wifi isn't working even after adding the firmware using my script then it may be missing an SDIO file. By running the command 'dmesg' immediately after booting and looking at the output if you see messages showing that the wifi firmware 'txt' file is missing it is possible to use the copy from the Windows driver that is stored in NVRAM. The file should look something like '/sys/firmware/efi/efivars/nvram-74b00bd9-805a-4d61-b51f-43268123d113' and you actually copy it using 'cat /sys/firmware/efi/efivars/nvram-74b00bd9-805a-4d61-b51f-43268123d113 > /lib/firmware/brcm/brcmfmac43241b4-sdio.txt' substituting the actual NVRAM filename on your device and the correct *sdio.txt name for your driver. When installing respun Ubuntu or similar distros on Intel Apollo devices using the '--apollo' option (or '-b Linuxium') one issue that might be encountered is where the EFI partition isn't large enough to store the bootable EFI file. Some Windows installations only create a 60MB partition which after installing the Windows EFI files leaves only around 30MB free. 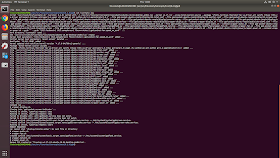 With the later Linux kernel releases the size and number of modules have increased and the generated bootable EFI file is now quite large (over 50MB) and if there is insufficient space for it the resultant installation will not boot. 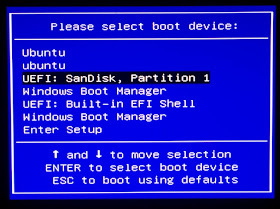 The solution is to increase the size of the EFI partition by following the instructions posted here. /usr/local/bin/isorespin.sh: The '--atom' option is only compatible with an ISO that uses 'systemd'. /usr/local/bin/isorespin.sh: This script can only be run on a 64-bit (amd64 or x86_64) OS. My script solves this for Ubuntu ISOs as it will now add the required GRUB packages allowing the installation to successfully complete. 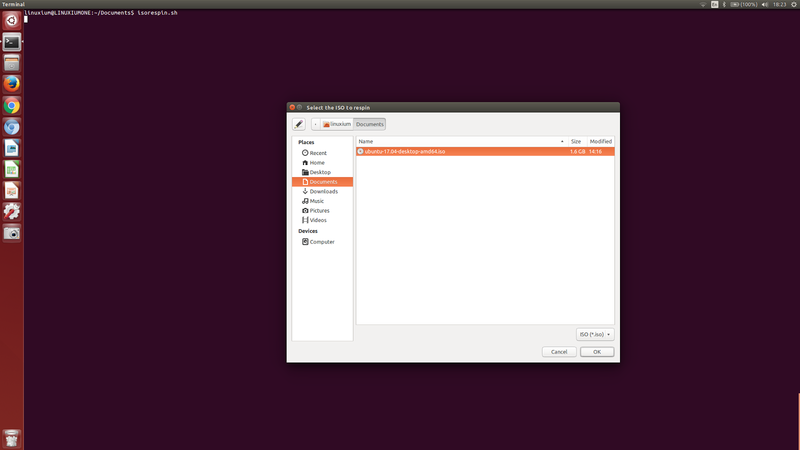 However other Ubuntu ISOs including the Ubuntu flavours and distros based on Ubuntu (such as Linux Mint) etc. their installation without the internet on 32-bit devices is with varying success. In part it depends on the original ISO installation capability on 64-bit devices without the internet. 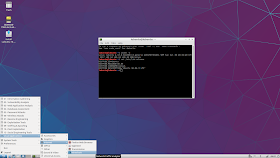 For example as Lubuntu 17.04 cannot be installed on 64-bit devices without internet as the ISO does not contain '/pool' with required packages so likewise after respinning its installation on 32-bit devices is not possible. However Lubuntu 16.04.2 can be installed on both 64-bit and 32-bit devices after respinning (see http://cdimage.ubuntu.com/lubuntu/releases/16.04.2/release/lubuntu-16.04.2-desktop-amd64.list and http://cdimage.ubuntu.com/lubuntu/releases/17.04/release/lubuntu-17.04-desktop-amd64.list for detailed package information). Also for non-Ubuntu ISOs it depends on the availability of archived package versions as some ISOs are created with earlier GRUB package versions to those currently available. For example with Elementary OS the earlier packages are not available and it is not known where (or if) an archive copy is maintained so installing without the internet on 32-bit devices is not possible. On Intel Apollo Lake devices you will need to include either the '--apollo' or '-b Linuxium' or '-b rEFInd' option when respinning the ISO to enable booting having first ensured sufficient space is available in the EFI partitions (see Resize EFI partition). Note that the '-b Linuxium' option requires that the package 'bintuils' is installed so if in doubt use the '--apollo' or include the package as another option (i.e. use '-b Linuxium -p binutils'). -im using intel core i5 pc , 8 gb ram, 100gb hd free space, opensuse 13.2 x64. openSUSE 13.2 is EOL and as you seem to be hitting a known 'sudo' bug I'd recommend upgrading before trying my 'isorespin.sh' script again. better downloaded your .iso https://goo.gl/hZ4L1x with kernel 4.12rc6 and it worked! on my HP Stream 7 tablet, wireless worked, sound, bluetooth not tested yet, brightness works using xrandr. You state "If bluetooth is always required then the command could be included in '/etc/rc.local' to avoid this step." 'enable' only links the service files and you need 'start' to actually start the service. 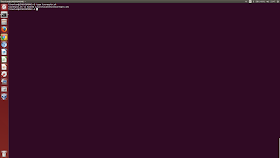 Your Script worked perfectly using Ubuntu Unity 17.04 on a 4-64 LattePanda. Wireless works Fine. Even Bluetooth works! I tried it with my Sony Bluetooth speaker and the speaker worked perfectly. 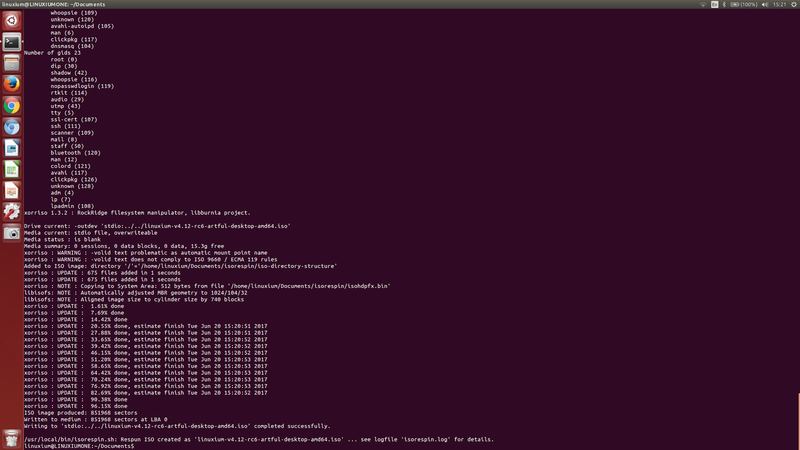 I incorporated the 4.12 rc6 Kernel as well. Known issues: Ghosting Cursors in Firefox. Looks like an old PacMan game. No functional issues but you have to remember where the real cursor is as it will vanish. All the other ghosts are like mouse trails. 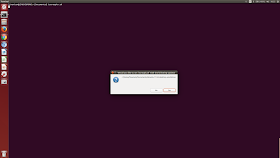 I tried the XUbuntu and never could get System Tray to display. (You get a blank screen.) Right click gives you your full menu but no applications dealing with the screen will launch. Firefox, Terminal, Updates, and File Manager all work normally. 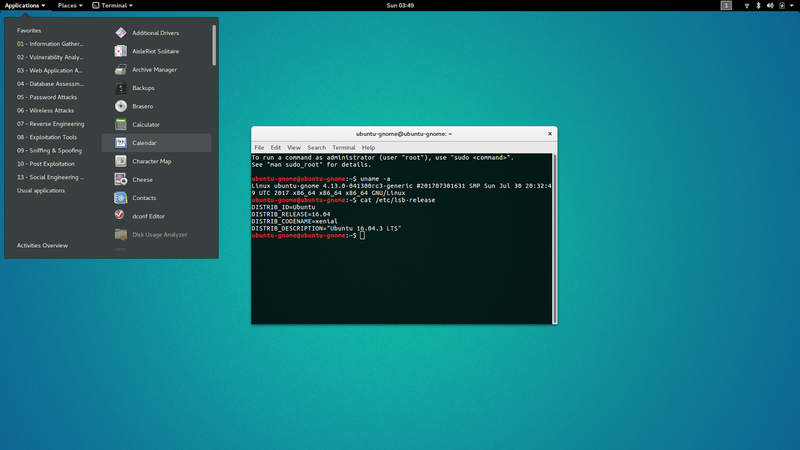 Is there a bug affecting XFCE when run on atom processors? The processor is an Atom Processor is a z83XX unit. If this is of interest, let me know I can be more specific. Do you get the same problem with XFCE using 16.04.2 vs 17.04 on the LattePanda device? 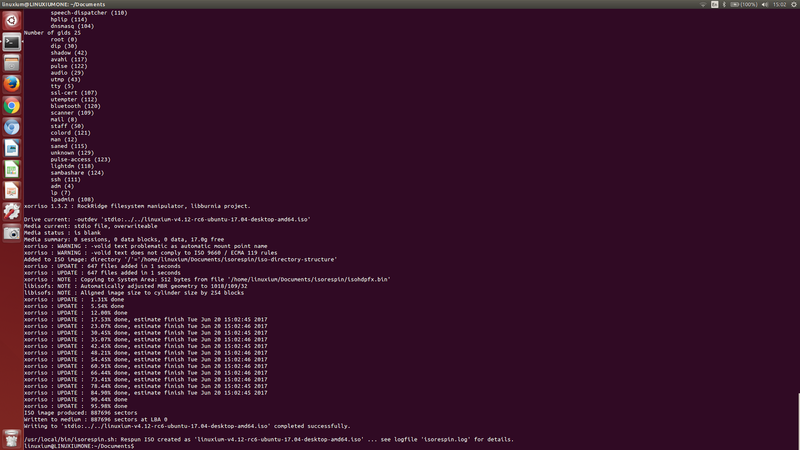 I neglected to mention, I ran the Broadcom drivers Script post install. I haven't tried Samba yet, but that install and configure will be this week. isorespin.sh: '/home/brian/ubuntu-16.04.1-server-amd64.iso' must be an Ubuntu (or Ubuntu flavour), Linux Mint, elementary, or neon desktop ISO. Really wish that ISO was still available!! As per above the script works with all official desktop 64-bit Ubuntu ISOs. isorespin.sh: '/home/brian/ubuntu-16.04.1-desktop-amd64.iso' must be an Ubuntu (or Ubuntu flavour), Linux Mint, elementary, or neon desktop ISO. It does works with 'ubuntu-16.04.1-desktop-amd64.iso' so can you check your ISO? An 'ls -l' should show a size of '1513308160' and a 'md5sum' should give '17643c29e3c4609818f26becf76d29a3'. If they are different your ISO is likely to be corrupt and you should download it again. Next check the 'isorespin.sh' script. An 'ls -l' should give '3937300' and an 'md5sum' give '5e5b86cdb69fdcdd7a1edf969286eb20'. Finally what OS are you running the script on? 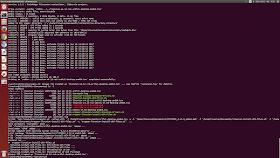 What do you get if you run the command 'cat /etc/lsb-release' or from running 'lsb-release -a'? This error was caused by a missing package. I've just moved the package check to the start so the script will tell you immediately now. Downloaded isorepin.sh (ver 7.1.2), as well as linuxium-isntall-UCM-files.sh and wrapper-linuxium-install-UCM-files.sh and rtl8723bs_4.12.0_amd64.deb - all in /iso as well as the same ISO I just built this VM from. Running from /iso which has been chmod 777. 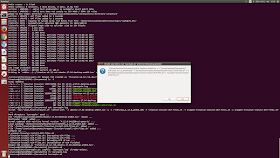 ERROR: boot/grub/efi.img failed verification -- update discarded. 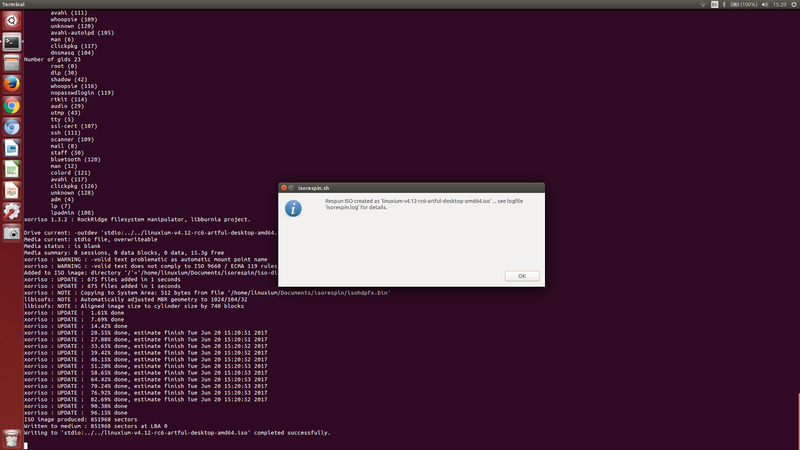 ERROR: boot/grub/font.pf2 failed verification -- update discarded. 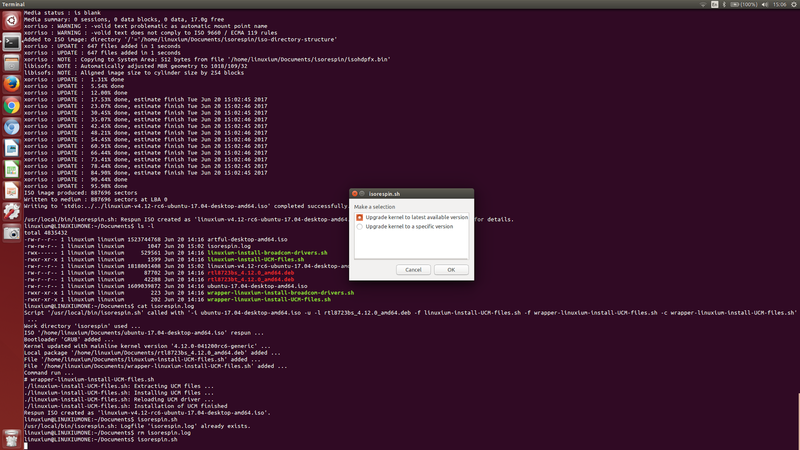 ERROR: boot/grub/grub.cfg failed verification -- update discarded. 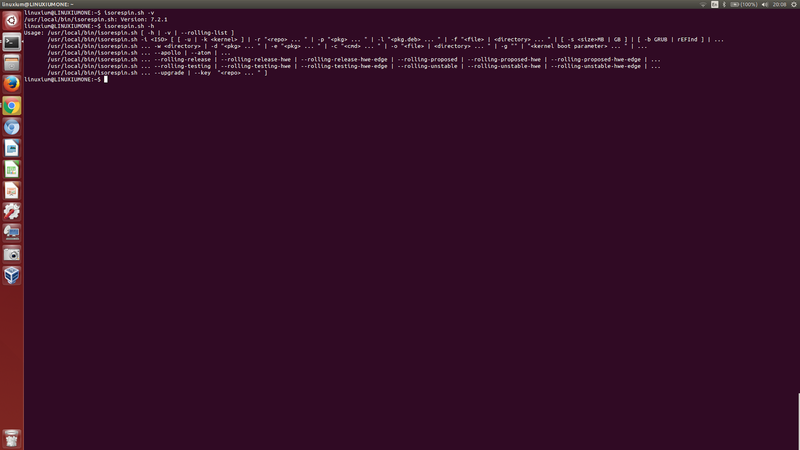 ./isorespin.sh: Cannot find mainline kernel. While it runs, it does create (temporarily) an isorespin directory. 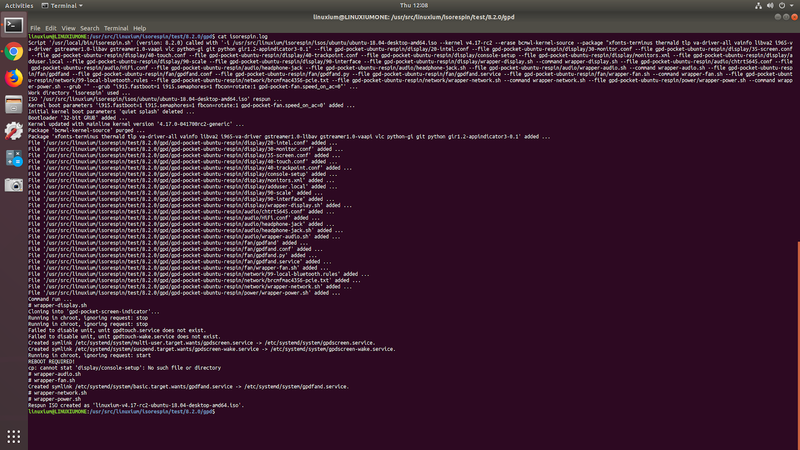 It looks to me like an initial error with the rsync call is causing the rest of the errors... but I'm not sure how to resolve the rsync error. 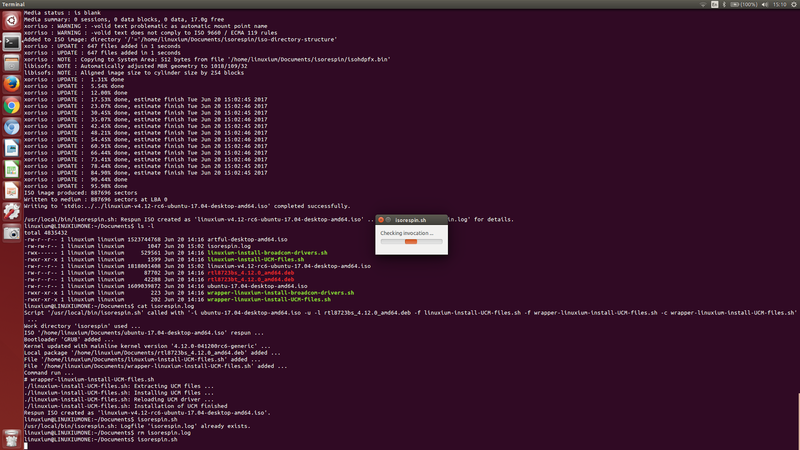 FYI, I'm trying to get Ubuntu working on a Cherry Trail device. Thanks again. Can you download the script again and retry as I think you might have a package missing. I've just moved the package check to the start so the script will tell you immediately now. So that didn't fix it... BUT, I think I've identified the issue... and I should have noticed it earlier. When I copied the ISO over from my host, VMware tools did NOT actually copy the entire ISO to the Ubuntu guest (and it actually didn't copy the entirety of your script either). Making sure the full copy of the ISO makes it to the guest and trying again. The 'md5sum' for 'isorespin.sh' should be '8bbfd21b46c0ebbcc05973c7b462988a' if it helps. md5 matches this time... and I'm about 15 minutes into the execution without errors... so far, so good. Thanks! /usr/local/bin/isorespin.sh: ISO '/home/chris/Documents/ubuntu-17.04-desktop-amd64.iso' is not a 64-bit (amd64 or x86_64) ISO. 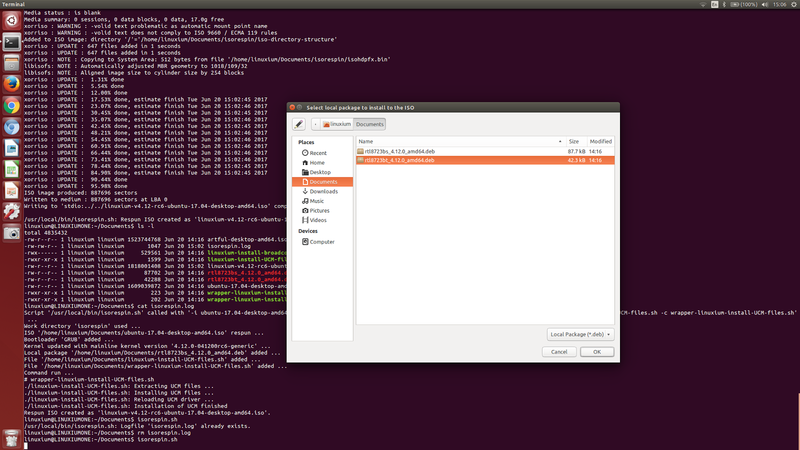 Both GUI and CLI have the same output(of course). Running on a fresh and updated install of Ubuntu 64bit (on VM). 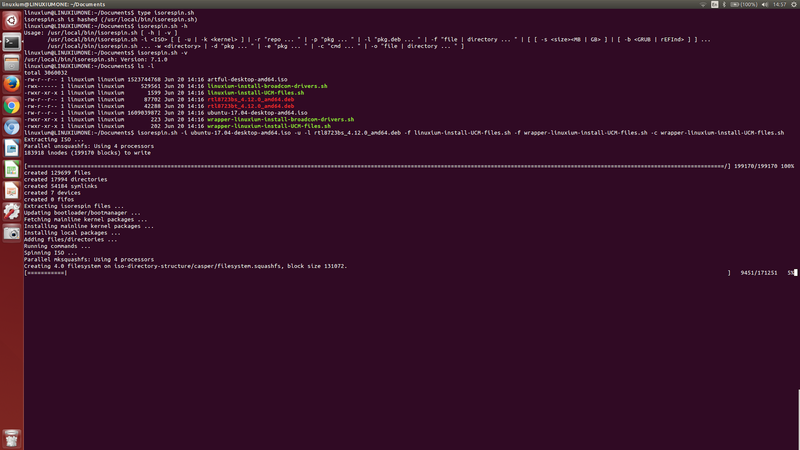 On the CLI it also outputs "grep mnt/.disk./iso input/output error"
It has been run with sudo, in case it cannot mount. There was a small window yesterday when having modified the script to support the new '-g' option I uploaded a version which checked for required packages in the wrong place. 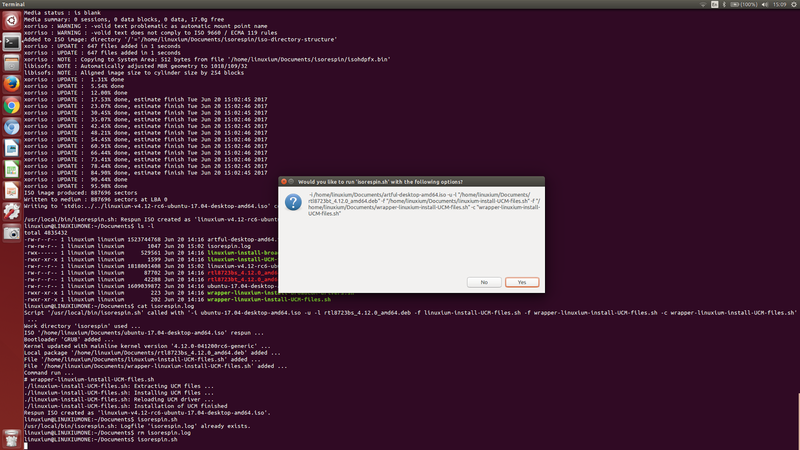 So if you ran the script without the prerequisite packages it borked rather than stop with a message as it should do. Testing didn't pick this up as it worked if the packages where installed. I have corrected this by uploading a fixed version and now if you download and run the script it will work both correctly and as before. Now and as per the documentation 'You will need certain packages like 'squashfs-tools' and 'xorriso' installed (use 'sudo apt-get install -y squashfs-tools xorriso' to install them) plus 'zenity' if you want to use the GUI. As different Linux distros have different packages installed by default the script will first check and notify you if any other packages are required'. I will try the updated script and I'll also try a physical Linux machine. I've encountered many strange issues with VMs in the past. '/home/hp/Downloads/kodibuntu-14-0rc-64-bit-multi-ubu.iso' must be an Ubuntu (or Ubuntu flavour), Linux Mint, elementary, or neon desktop ISO. 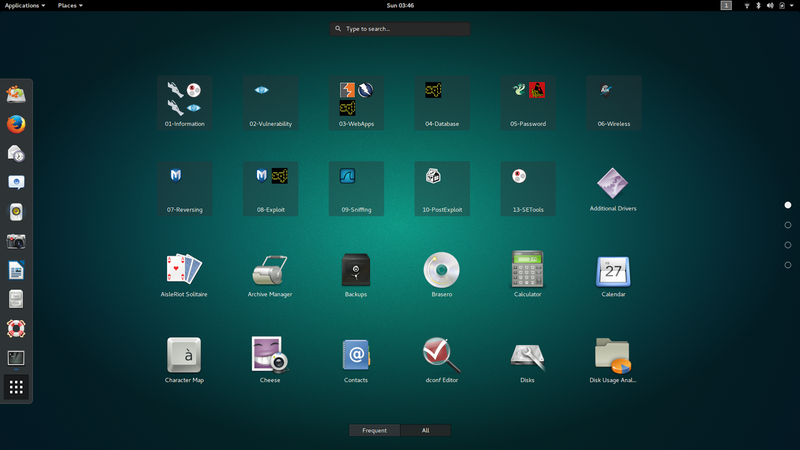 Your ISO 'kodibuntu-14-0rc-64-bit-multi-ubu.iso' is not from http://releases.ubuntu.com, https://www.ubuntu.com/download/ubuntu-flavours, https://www.linuxmint.com/download.php, https://neon.kde.org/download or https://elementary.io i.e. 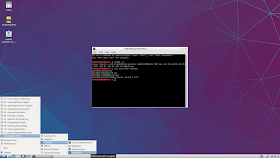 it can only be an official desktop 64-bit Ubuntu, Ubuntu flavour, Linux Mint, KDE neon or elementary OS ISO. '/home/hp/isos/budgie-remix-16.10-amd64.iso' must be an Ubuntu (or Ubuntu flavour), Linux Mint, elementary, or neon desktop ISO. Budgie Remix isn't an official Ubuntu flavour. If you want Ubuntu Budgie use the ISO from 'http://cdimages.ubuntu.com/ubuntu-budgie/releases/17.04/release/ubuntu-budgie-17.04-desktop-amd64.iso'. However 'Kodibuntu' is not an official flavour (see https://www.ubuntu.com/download/ubuntu-flavours). Kernel '4.12.0-041200rc6' not found in 'http://kernel.ubuntu.com/~kernel-ppa/mainline'. sorry if im been dumb but where would i edit to copy and paste what your have given i norm use the gui to build iso via .sh in terminal , can i just edit a file in place into it the above you gave with correct -f & -c ? 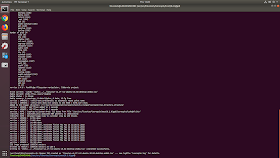 Yes just open up a terminal like before and instead of entering './isorespin.sh' enter the full command './isorespin.sh -i /home/hp/Downloads/ubuntu-budgie-17.04-desktop-amd64.iso -k v4.12-rc6 -l /home/hp/isos/respin/rtl8723bs_4.12.0_amd64.deb -f /home/hp/isos/respin/linuxium-install-UCM-files.sh -f /home/hp/isos/respin/linuxium-install-broadcom-drivers.sh -f /home/hp/isos/respin/wrapper-linuxium-install-UCM-files.sh -f /home/hp/isos/respin/wrapper-linuxium-install-broadcom-drivers.sh -c wrapper-linuxium-install-UCM-files.sh -c wrapper-linuxium-install-broadcom-drivers.sh -b rEFInd' obviously without the "'" quotes and you can use copy and paste to do this. First of all - thank you for your great work and the efforts you put into it. It is indeed impressive. 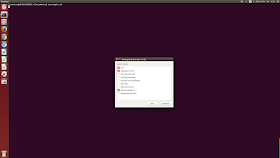 I am trying to install Linux Mint 18.1 on an ODYS Shape Pro whith the help of your scripts. The Kernel 4.12 (released a few days ago, no RC) has the MMC problem again with the RPMB partition on eMMCs, so the machine reacts FAR too sluggish to be useful. Kernel 4.11.8 on the other hand lacks support for the WLAN (RTL8723BS) including bluetooth, also the battery is not recognized, only if it is charging. Do you know of a patch for 4.12 to get rid of the encrypted RPMB Partition problem that could help getting the machine into a usable state? SD-Card slot and audio not working can be bypassed with external hardware, WLAN would be nice, but the battery state is important, I think. Greetings from Vienna, Austria, EU, Earth. If you want to build your own kernel (which you can do using 'isorespin.sh see http://linuxiumcomau.blogspot.com.au/2017/06/compiling-your-own-kernel-using.html) you can try adding this patch 'https://patchwork.kernel.org/patch/4710641/' although it may need porting to the kernel version you are compiling. Thank you for the info, will try this next weekend. but is there a patch parameter that would allow patching a kernel before compiling that kernel and adding it to the isorespin image? 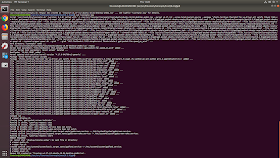 If you click on each of the images in the post 'http://linuxiumcomau.blogspot.com.au/2017/06/compiling-your-own-kernel-using.html' you can see how to patch the kernel and then compile it. 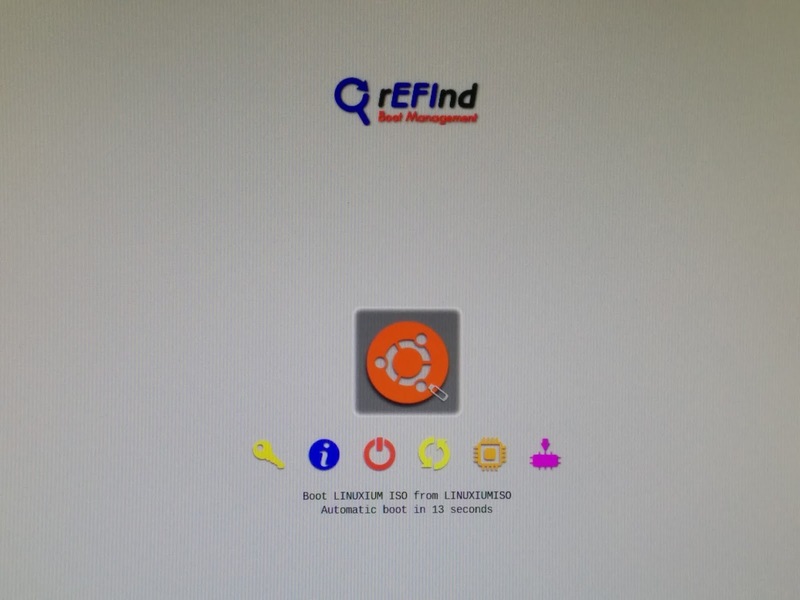 /usr/local/bin/isorespin.sh: Invalid option '-l /home/retromint/rtl8723bs_4.12.0_amd64.deb'. Did you post the correct command and error message as if I use the command you posted I get the error 'Flag not specified for '/home/retromint/wrapper-linuxium-install-UCM-files.sh''. This is because you are missing the space in front of the '-c'. Can you also make sure you download and use the version of my script from 'https://goo.gl/ZnUd6H' just in case you are using an older version? 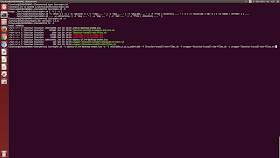 /usr/local/bin/isorespin.sh: Cannot find mainline kernel. The 'crc32' for 'isorespin.sh' is '948c40d6' not '948C4DD6' ... was it a typo? 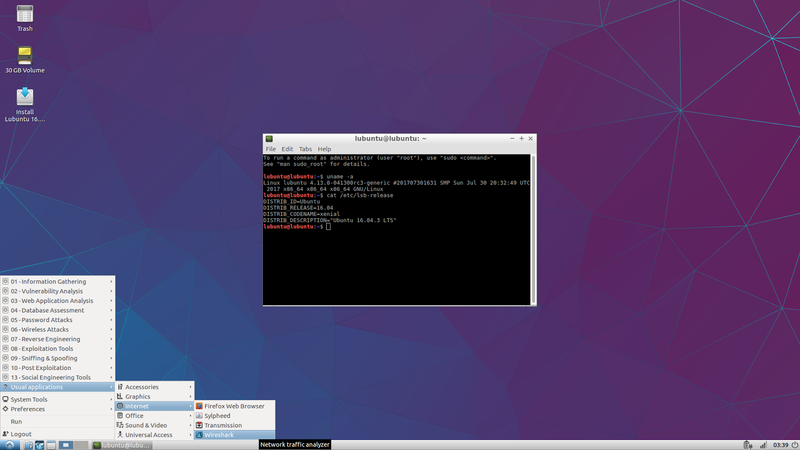 Also are you running natively on Linux and if so what distro or are you running in a VM? I've not tried running the script in a Linux Mint VM. 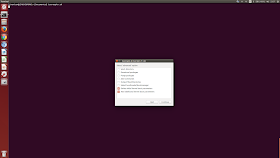 It works with an Ubuntu VM using Oracle's VirtualBox on Windows so can you create a Linux VM from a standard Ubuntu 64-bit desktop ISO and install to a VDI of fixed size (minimum 20GB) then start the new Ubuntu VM and install 'Oracle VM VirtualBox Extension Pack' before installing the two required packages of 'squashfs-tools' and 'xorriso' and then running my 'isorespin.sh' script? 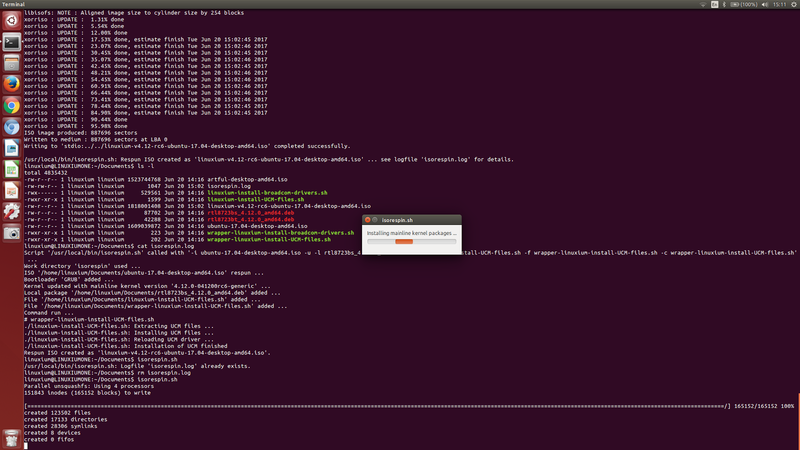 Writing to 'stdio:../../linuxium-v4.13-rc1-linuxmint-18.2-mate-64bit.iso' completed successfully. 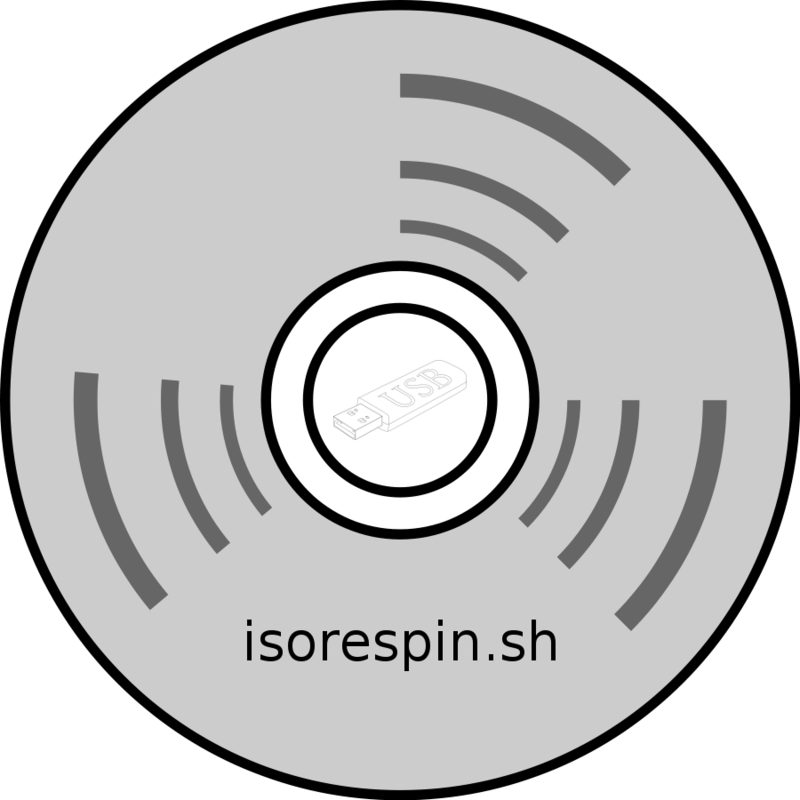 /home/vm/isorespin.sh: Respun ISO created as 'linuxium-v4.13-rc1-linuxmint-18.2-mate-64bit.iso' ... see logfile 'isorespin.log' for details. You will probably find that Lubuntu would be a better option for your device if it only has 1GB RAM. Lubuntu requires internet to successfully install (see notes in my documentation). For the 'Permission denied' error you need to set execute first on the script before respinning (enter 'sudo chmod 755 wrapper-linuxium-install-broadcom-drivers.sh'). I am trying to set up a Beelink Z83 with a Cherry Tail Atom X8350 processor. WiFi and Sound via HDMI is cruicial for my application, sound via analogue jack would be a lovely addon. This ran through fine and i copied the resulting linuxium-v4.12-ubuntu-16.04.1-desktop-amd64.iso to my usb stick and booted from it. However, the onboard wifi is not found now. I hoped I would receive a ubuntu 16.04 with same kernel and patches that you already put into your 17.04 image - but i failed. 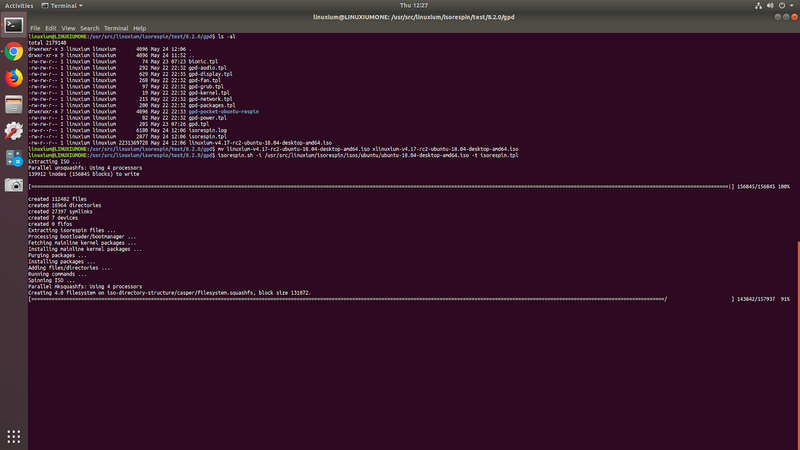 Am i doing something wrong, or is it not possible to make a 16.04 work with a 4.12 kernel and wifi working? Thanks for your time and efforts - highly appreciated. 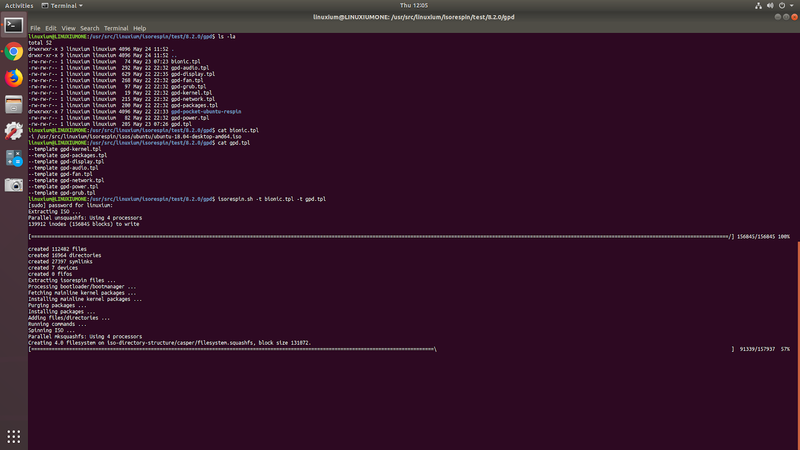 I found out that when i run the linuxium-install* scripts manually in the live system, wifi starts to work immediately. Now i tried to install the linuxium i made on the device. However, it just randomly freezes totally (clock stops, everything stops). Any hints what I may still be missing? Try booting using the kernel boot parameter of 'intel_idle.max_cstate=1' as this may help with kernel freezes. 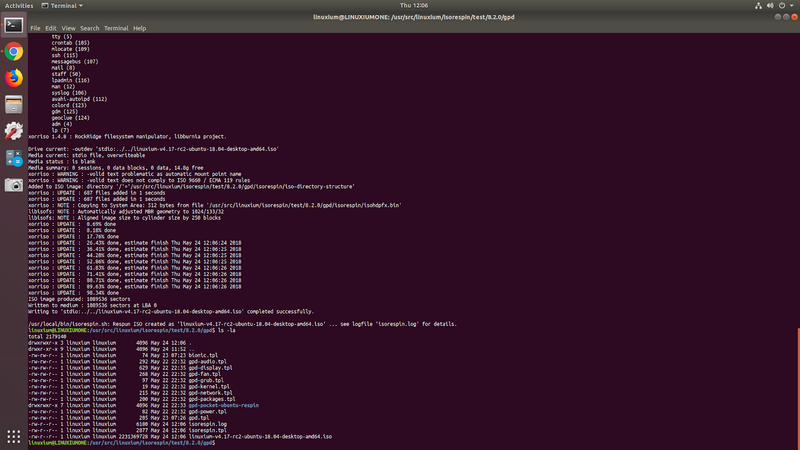 (tried "dmesg | pastebinit", but apparently it doesn't run behind a proxy). I'm working with an Azulle Access Plus (AAP) which uses a Cherry Trail. I bought the unit and overwrote W-10 with the .iso that AzulleTech provided. 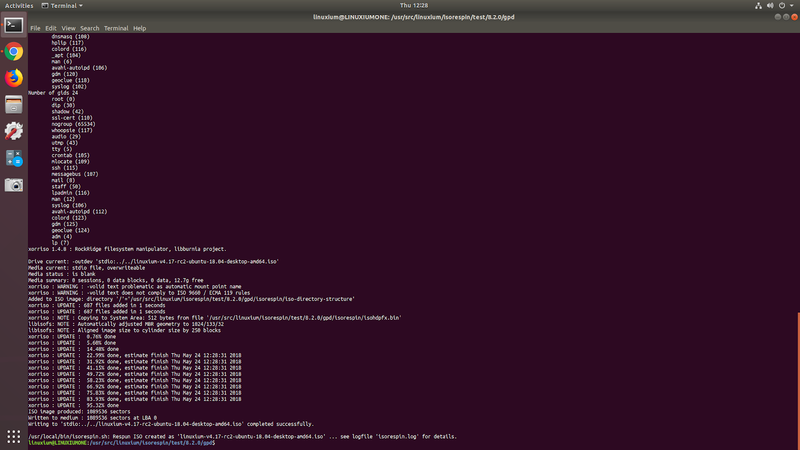 That unit runs my application fine (its Ubuntu16.04.2 LTS with a 4.5.7-archermind-standard+ kernel). Then I bought two more, and was not able to get the iso, as their tech support pointed me to the standard Ubuntu16.04.2LTS image. 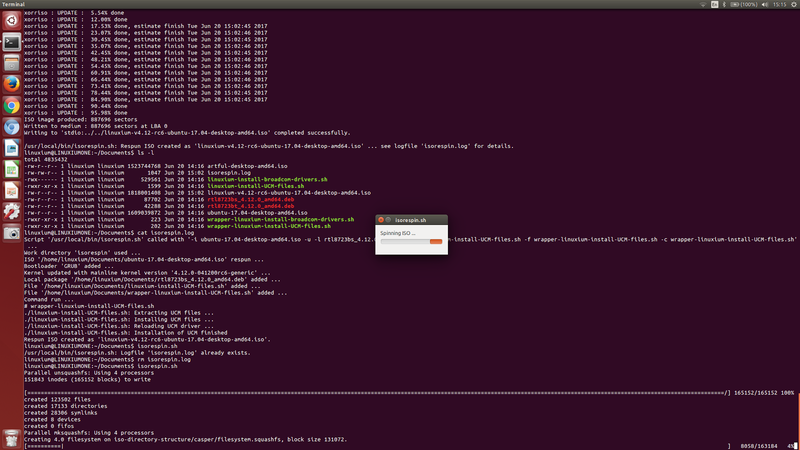 Using the off-the-shelf Ubuntu16.04.2LTS, the system boots, and as long as I don't run my application its happy. When I start my application (networked audio/video encode/decode using gstreamer) it runs for about 15 minutes just fine (good bi-directional audio and video), then the entire system freezes (recoverable only by power-cycle). 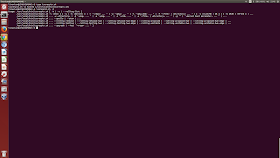 -i isofile -k v4.11 -g "intel_idle.max_cstate=1" successfully, but after installing it on the AAP, it still freezes. 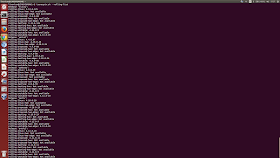 Note that this application has been running on other linux systems for quite some time. Also note that the system does not freeze if my application is not run. Any thoughts? I am trying to get Azulle to give me the original .iso, but I'd prefer to be up-to-date if possible. I can try 4.12, but I had thought 4.11 pulled all Cherry Trail stuff into mainline. I did a raw copy of the internal disk of the good system and transferred that image to the system that was freezing. Seems to me, since both are running 16.04.2 LTS, that points to the kernel; but since I don't know where the kernel came from (it was part of the .iso I got from Azulle) I can't isolate anything further. One small bit of "key" information I left out in the above reply was that after installing the new image on the system that was freezing, it froze no more. The v4.12 kernel has additional Intel Atom patches and looking at your 'dmesg' you should probably add my 'linuxium-install-UCM-files.sh' (see above) to fix the 'ASoC: no backend DAIs' messages. 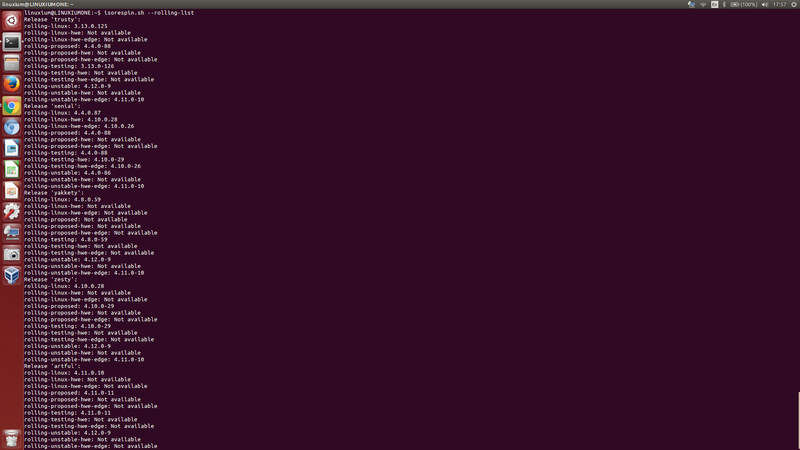 Unfortunately freezes are not solved although the 'cstate' kernel boot parameter helps. Perhaps it is freezing due to thermal throttling? 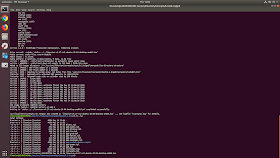 Take a look at http://linuxiumcomau.blogspot.com.au/2017/03/ubuntu-16042-and-ubuntu-1704-beta-1.html?showComment=1489005628439#c7389843581916420878 and see if this help. Ok, I'll give all this a try and report back. BTW...I was adding a bit more info (see above) as you were apparently replying. Thanks much. BTW, I had tried 4.12 last night and that made no difference either. Well, still no luck.. Same symptom... Freeze after about 5 minutes of running. I'd sure appreciate any thoughts or suggestions. After posting the previous results I noticed that the "-g" option of the isorespin.sh doesn't appear to have inserted the kernel command line parameters. I manually added them through /etc/default/grub, but still no difference. I ran 'isorespin.sh' with the '-g' option you used (as seen in the log you posted) and it did insert the kernel boot parameters correctly. However your 'dmesg' shows you running a kernel without them. 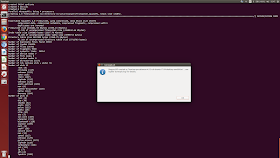 Can you check that you are booting the correct kernel as another indication is that the ALSA UCM files are missing and you added them according to the log (by running 'wrapper-linuxium-install-UCM-files.sh')? 1. Set up /etc/apt/apt.conf to be proxy aware. 2. Set http_proxy and https_proxy in /etc/profile. 3. 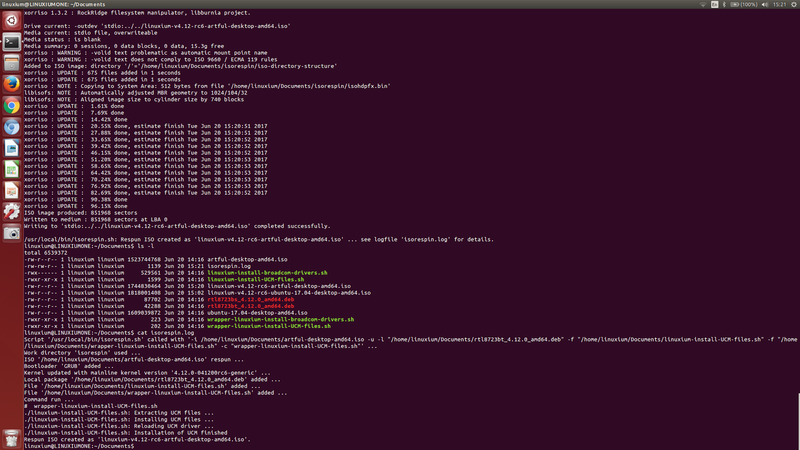 Set up .wgetrc in $HOME of invoking user. a. 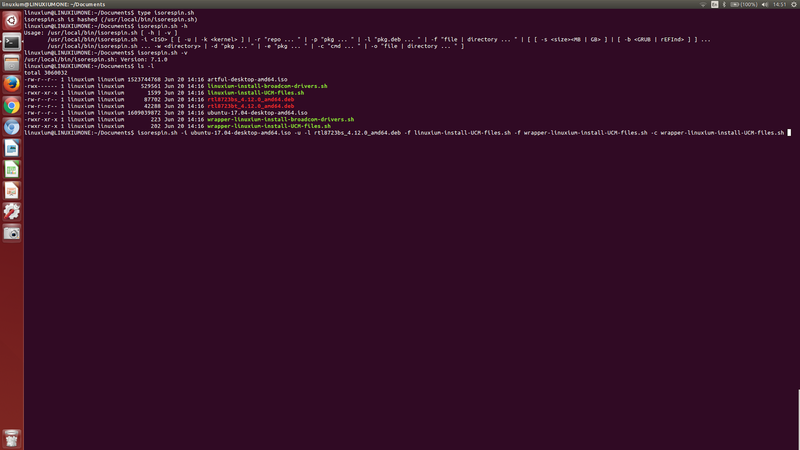 Add -E to "sudo" for wget. b. 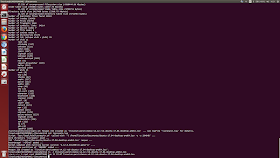 Add -e use_proxy=yes -e http_proxy=PROXY to wget lines. 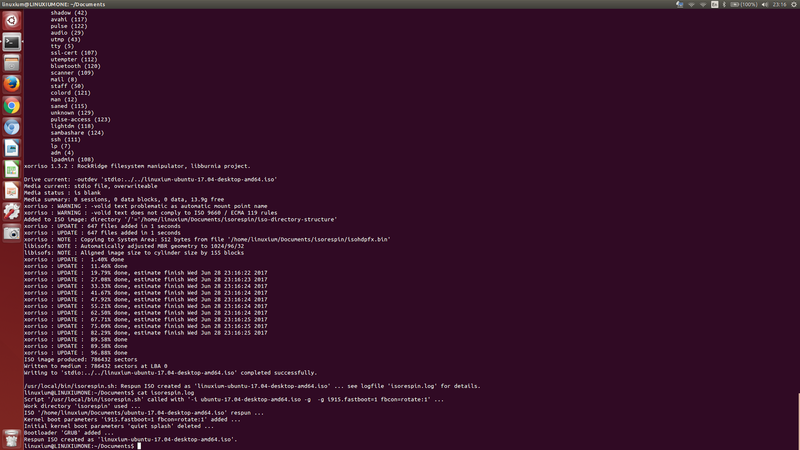 After all that, the UCM files properly installed, but still no kernel command line additions. So, again I added them manually, but my unit *still* hangs after 5-10 minutes of multimedia. It doesn't seem to be a heat problem either; the unit isn't very warm. Actually, the one unit I have that works with the older "source-unknown" kernel shows the cores at about 74C, where this kernel hangs with cores at around 67C. The 'dmesg' shows the kernel boot parameters so do you mean after installation the kernel boot parameters that were there for LiveUSB boot are not present in the installed system? Again... thanks for your help. By the way, I'm able to reproduce the freeze by going to webglsamples.org/aquarium/aquarium.html and setting the "Number of Fish" to 500 or more (then just wait 10-15 minutes). When the ISO installs Ubuntu the GRUB installer creates a new '/etc/default/grub' file rather than copying the existing one which is why the kernel boot parameters are present on the LiveUSB and not when installed. I'm in two minds as to whether it is 'correct' to reflect the '-g' option kernel boot parameters once installed and on how to do it if determined 'appropriate'. Do you have any thoughts or comments? Regarding the freeze issue perhaps you can post your feedback on Kernel.org Bugzilla against the existing bug report 'https://bugzilla.kernel.org/show_bug.cgi?id=109051'? Thanks, I'll post some feedback. If the install actually preserved the current boot parameters then I'd say maybe you should leave it like that (so whatever was there is not lost); however, if the new grub just installs a standard /etc/default/grub file anyway, then it seems to be appropriate for the -g options of your script to be put in with the install. Maybe a script (-c) could copy the initial /etc/default/grub to grub.bak, and move a new one (with -g options) to that location. Based on some comments I saw at https://bugzilla.kernel.org/show_bug.cgi?id=109051, I went back to 4.12 (rather than 4.12.2), and instead of installing to internal disk, I just ran from USB. I ran the aquarium stuff for about 5 hours without a glitch. Then I took that image and installed to internal disk, (forced the same GRUB options) and ran the aquarium and it died in about 15 minutes. Would you expect there to be any difference in runtime between the two scenarios? I've fixed the GRUB issue and it will be included in the next release of my script. For the random freeze it has been reported as random so 5 hours without freeze and 15 minutes with freeze isn't necessarily unusual in the same environment. What would be interesting was if the timing (and especially lack of freeze) can be uniformly repeated on the two scenarios as this would be a pointer of where to look next. Is it possible to get this working for a server iso instead of a desktop iso? I'd love to get Ubuntu Server 17 working. Thanks for your answer, even if the answer is no. No. 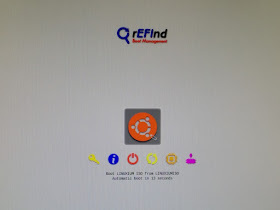 But as a workaround you can first respin and install the desktop ISO and then purge the desktop packages and install the required server packages (see http://www.linuxium.com.au/how-tos/creatinganubuntuserveronaz3735fdevice for an example). You might even be able to do this through respinning! Hi, I tried using your command to install UCM files using the -f and -c cmdline args, and the scripts are failing to run - isorespin.log is showing lots of 'sudo: unable to resolve host ' errors. Do you know what could cause this? Are you connected to the internet before running the scripts? Yes, I'm connected to internet and can ping google.com for example. The hostname referenced in 'sudo: unable to resolve host ' is the local hostname of the system where I'm running isorespin, which is a vanilla install of Ubuntu 16.04 64-bit - it's directly installed (not a VM), if that makes a difference. Running sudo outside isorespin works fine, but any time sudo is run in a script invoked by -c it shows the 'unable to resolve host [local hostname]' error in the log. Are you running the 'linuxium-install-UCM-files.sh' using the '-c' option as if so you should be running the 'wrapper-linuxium-install-UCM-files.sh' as that fixes the hostname issue. You still have to load the 'linuxium-install-UCM-files.sh' script so the respin command would be along the lines of 'isorespin.sh -i ...your various options... -f linuxium-install-UCM-files.sh -f wrapper-linuxium-install-UCM-files.sh -c wrapper-linuxium-install-UCM-files.sh'. It is not an error I'm familiar with. Can you provide more details like: are you running natively or on a VM (and in which case what); what version and what is the md5sum of my 'isorespin.sh' script; what ISO are you trying to respin; what are the contents of 'isorespin.log' after encountering the error; what is the full error message? I executed your script on the NTFS partition with fixed attributes/ownership. 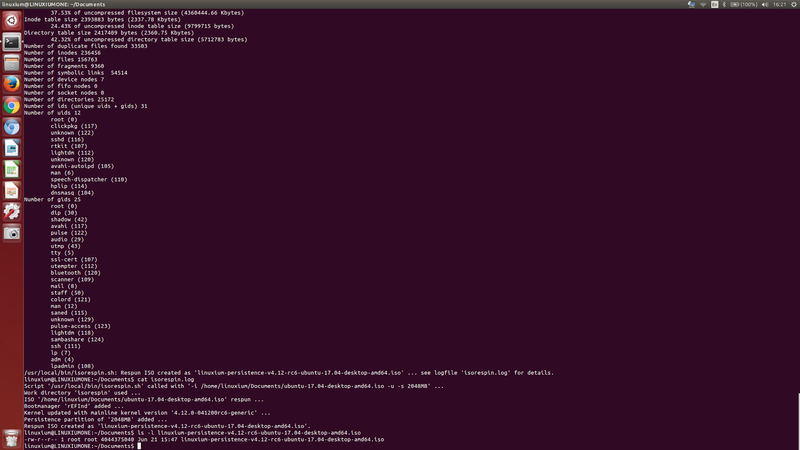 Same machine, ext4 working dir and no problems. Interestingly on another machine, also NTFS work dir, it executes without any such messages. Probably a bit different set of attributes. Interesting. I'd only use EXT4 for the working directory though. Hello! Thank you for your work! I feel like i'm very close to getting this to work. Any help would be appreciated! I'm trying to get this going on a first generation Intel Compute Stick (Bay Trail). 2. Booted into my other ubuntu machine to run your script and make the bootable flash drive. And Everything worked great! no errors. 6. 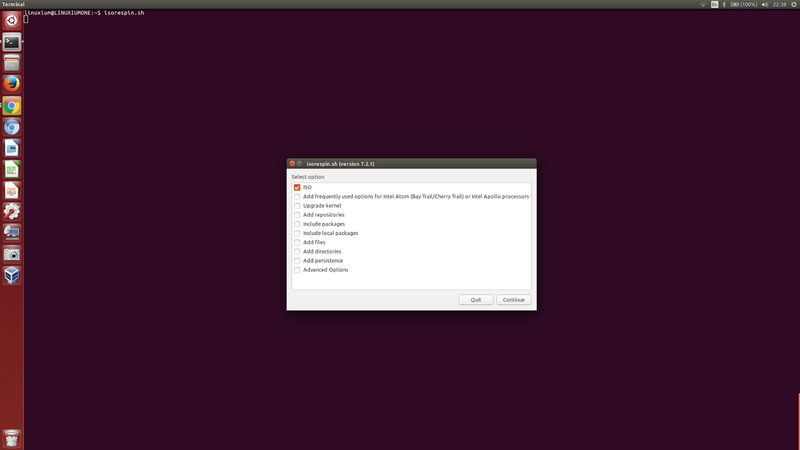 Next booted up again to the install Ubuntu option. - The install worked perfectly and prompted me to restart. After the install It won't boot into ubuntu. It just goes to a black screen that says "A bootable device has not been detected"
Do i need to run the script with any additional option/parameter? Or do you have any other idea how to Get past this? See and follow 'NVRAM sync issues' above. Hi, I tried running the isorespin.sh on ubuntu-16.04.3-desktop-amd64.iso and ubuntu-17.04-desktop-amd64.iso. 16.04 got stuck on 21%, twice, with installation wheel turning but no progress. Same thing happened for 17.04 just at 24%. 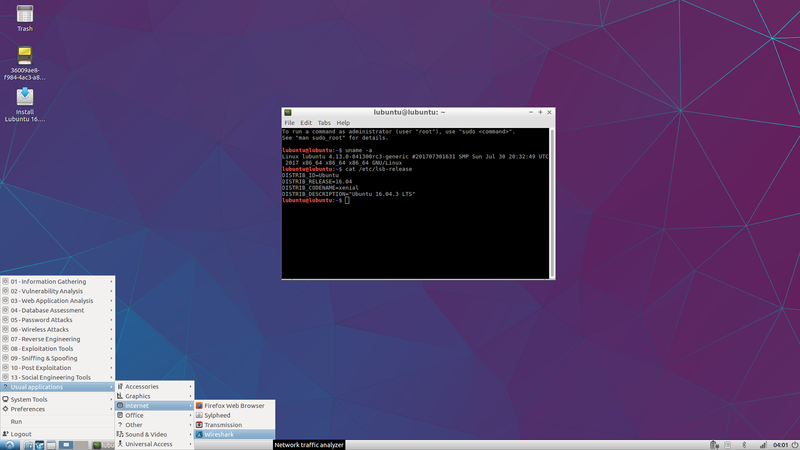 I also tried on lubuntu-17.04-desktop-i386.iso but it said it was not supported. See 'Kernel freezes' for a possible solution. Hop on there and we will make sure it's you and you are more than welcome to choose any hosting you like free of charge! Thank you very much! Thanks. For specific issues relating to your tablet I'd recommend searching any product dedicated forms or forums about running Linux on your tablet as often these types of issues are product specific. intel_ish_ipc 0000:00:0a.0: [ishtp-ish]: ISH: hw start failed. Thus the system doesn't boot to a live environment. What command are you using to respin the ISO and what version of my script are you using and on what OS? The version that was availble during the weekend. I used the GUI with the Apollo Lake/Cherry Trail option. So only ISO and that option. I tried with 16.04.3 and also 17.04. I'm also booting via Microsd. Going to try with a USB-hub soon. You will have issues trying to boot a 'Live MicroSD Card' as the device bootloader cannot see the card until after booting. 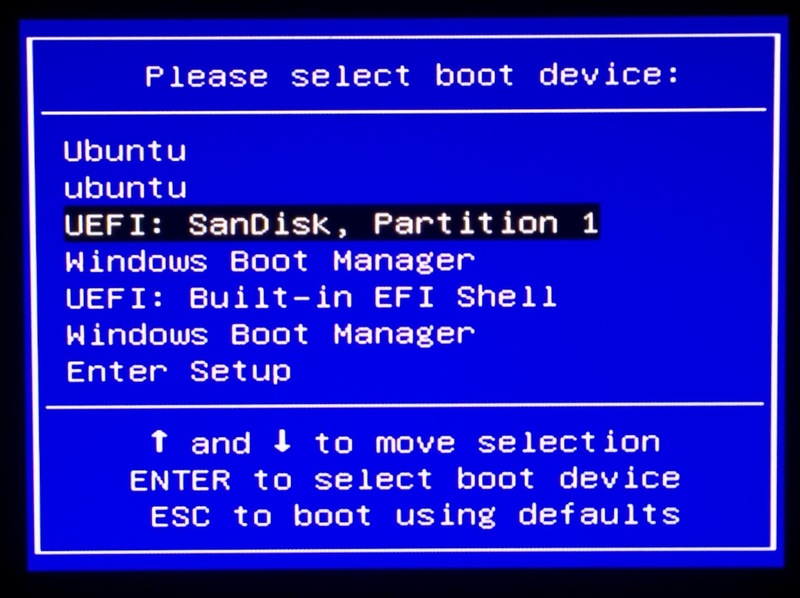 Using a USB is different as this can be seen so booting can occur. having the same issue with an Intel STK1AW32SC. But I'm booting from USB. Wow read though this to make a new install. Made a new folder to put it all in put theses files. Did chmod 755 on the .sh files. Remember your of-/dev/sd my not be the same! It did not take long and then I rebooted press F5 to boot from that USB drive and it installed it. When it 1st came up can hear the sound thought the HDMI monitor. I never got that to work before. 223 packages can be updated. 137 updates are security updates. So I did a apt update and apt upgrade. Did a "nmtui" and wow it sees WiFi now! I never got it to to that. This is on a WinBook-TW801. It has a USB 3.0 port on it too. Thank you Linuxium! Grate job to get this to work on things like this. I was ate it for days trying to get WiFi and sound out the HDMI and just could not get it working. Great to hear everything was successful. Why can you just make a ISO download all ready made for each install? I guess there would be to many? Unforutnately there are too many ISOs and too many combinations plus the required bandwidth and storage requirements exceed what I can offer. I don't get why it don't show any sound card under "Mediaplayer Squeezelite & Airplay - Status, Start / Stop" It's just blank can't pick a sound card. It would be nice to get this working on the Winbook TW801 I have Ubuntu installed on now. Need to get 6,722 B of archives. After this operation, 48.1 kB of additional disk space will be used. Selecting previously unselected package bs2b-ladspa. Unloading ALSA sound driver modules: snd-soc-sst-bytcr-rt5640 snd-soc-rt5670 snd-soc-rt5645 snd-intel-sst-acpi snd-soc-rt5640 snd-intel-sst-core snd-soc-rl6231 snd-soc-sst-atom-hifi2-platform snd-soc-sst-match snd-hdmi-lpe-audio snd-soc-core snd-compress snd-pcm-dmaengine snd-pcm snd-seq-midi snd-seq-midi-event snd-rawmidi snd-seq snd-seq-device snd-timer (failed: modules still loaded: snd-soc-sst-bytcr-rt5640 snd-intel-sst-acpi snd-soc-rt5640 snd-intel-sst-core snd-soc-rl6231 snd-soc-sst-atom-hifi2-platform snd-soc-sst-match snd-hdmi-lpe-audio snd-soc-core snd-compress snd-pcm-dmaengine snd-pcm snd-timer). Loading ALSA sound driver modules: snd-soc-sst-bytcr-rt5640 snd-soc-rt5670 snd-soc-rt5645 snd-intel-sst-acpi snd-soc-rt5640 snd-intel-sst-core snd-soc-rl6231 snd-soc-sst-atom-hifi2-platform snd-soc-sst-match snd-hdmi-lpe-audio snd-soc-core snd-compress snd-pcm-dmaengine snd-pcm snd-seq-midi snd-seq-midi-event snd-rawmidi snd-seq snd-seq-device snd-timer. But still get "Status: Squeezelite not running"
Wow but I just did a "apt install squeezlite" then in max2play pressed "Start Squeezelite" and it worked. Now to test it if plays sound. 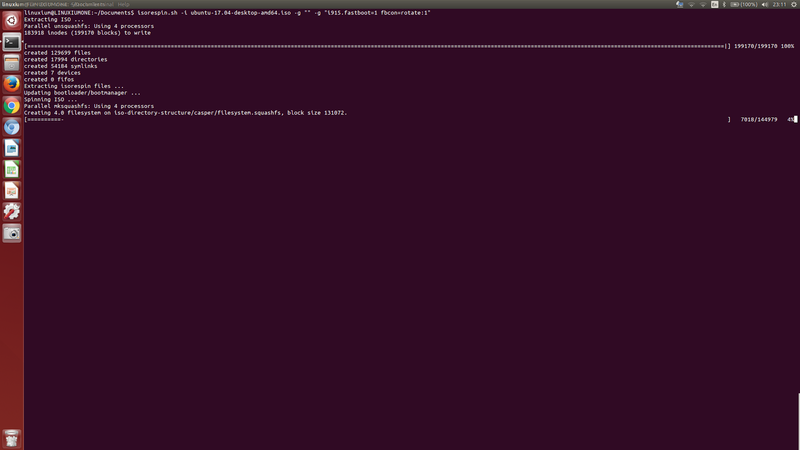 It's still no listing any thing under "Soundcard"
[ ok ] Restarting squeezelite (via systemctl): squeezelite.service. Then my Logitech Media Server can see it but when I play it plays though the HDMI but the sound is going in and out. It's like it can't have the speed to play it right. It works then. I did put a 0 or a 1 at the end and still comes out the built in speakers. I wanted it to come out the headphone plug but looks like I can't get it to. Tested all the devices from the list of names. None did it out the headphone jack. Unfortunately I've no experience of this application so can't help however hopefully others might be able to comment with suggestions? Great. Don't forget you could use the '--atom' flag to simplify the command to './isorespin.sh -i lubuntu-16.04.3-desktop-amd64.iso -u --atom'. Wow I should of done that. The WinBook I have it on seems to work good but it does have a "Intel(R) Atom(TM) CPU Z3735D @ 1.33GHz, 4 cores" So if I reload this making a iso I guess put the -u -atom on the end too. Nice to know. But note the syntax as it is single hyphen for the 'u' and double hyphen for 'atom' like '-u --atom'. 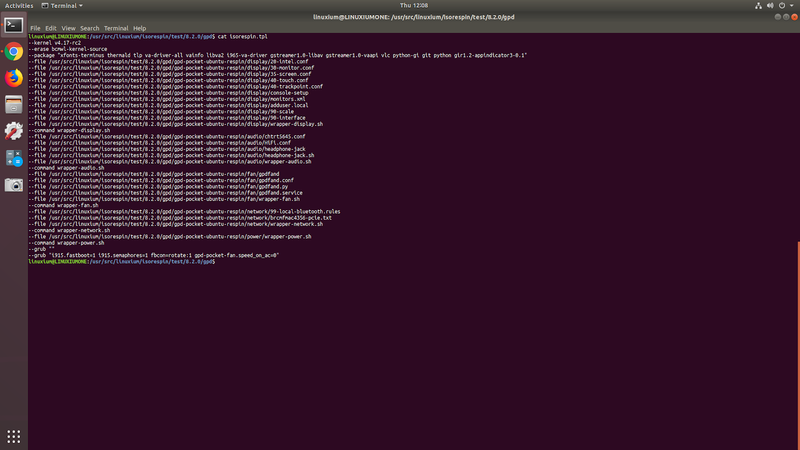 ./isorespin.sh -i ubuntu-17.04-desktop-amd64.iso -u --atom -l rtl8723bs_4.12.0_amd64.deb -f linuxium-install-UCM-files.sh -f wrapper-linuxium-install-UCM-files.sh -c wrapper-linuxium-install-UCM-files.sh -p "ssh openssh-server inxi" "lamp-server^"
Do I have to have like the openssh-server code in the same folder /media500gb/make-new-iso ? or will it just download it with the WWW? Does this one long line command look right? I have to did it yet. 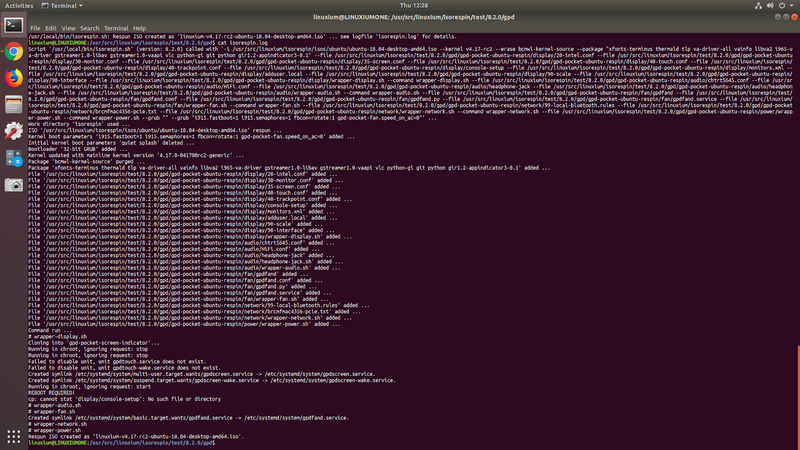 root@tw801:/media/500gb/make-new-iso# ./isorespin.sh -i ubuntu-17.04-desktop-amd64.iso -u --atom -l rtl8723bs_4.12.0_amd64.deb -f linuxium-install-UCM-files.sh -f wrapper-linuxium-install-UCM-files.sh -c wrapper-linuxium-install-UCM-files.sh -p "ssh openssh-server inxi" "lamp-server^"
./isorespin.sh: Flag not specified for 'lamp-server^'. root@tw801:/media/500gb/make-new-iso# ./isorespin.sh -i ubuntu-17.04-desktop-amd64.iso -u --atom -l rtl8723bs_4.12.0_amd64.deb -f linuxium-install-UCM-files.sh -f wrapper-linuxium-install-UCM-files.sh -c wrapper-linuxium-install-UCM-files.sh -p "ssh openssh-server inxi lamp-server^"
So it's doing it now "Updating bootloader/bootmanager ..."
This will be neat if it works. Looks like it will. Looks like it did work. Doing the apt upgrade now. Has over 200 of them. Is there a way to make the ISO with the updates all ready on it? Going to see if that install works better. When it did install I did not see it say its done. It did not have no left side panel on it. I pulled out the ISO USB stick and rebooted it and it came up as a new install good. Apache in installed! So that part worked. SSH is too. For making an ISO with all the updates use the '--upgrade' option. Also if you use the '--atom' flag then you don't need to add '-l rtl8723bs_4.12.0_amd64.deb -f linuxium-install-UCM-files.sh -f wrapper-linuxium-install-UCM-files.sh -c wrapper-linuxium-install-UCM-files.sh' as well. Nice! I did do that one line command you said to do. It's a lot shorted. It made a file that was 1.80 GB ISO. What's neat about this new load is that on Webmin it shows the CPU temperatures! I got Max2Play working on it good now too. Looks like I had to add a Odroid user. Because that's what I did to install the script to get it to at lest get the webpage up. Playing music now with it. I got USB speakers plug in it. A Winbook tablet tw801. Cost less then $100 and has one USB 3.0 port. Working good with this load. Thank you for this wonderful work good sir. ./isorespin.sh: Local package 'rtl8723bs_4.12.0_amd64.deb' failed to install correctly. I tried with both Ubuntu 17.04 and 16.04 but the same result.. The iso was located in my Windows' drive hence I thought it could be a permission related issue so I copied the iso to the drive I'm working on and issued the command with sudo but I still get the same result.. I can't tell which "package" it is referring from the above output so I don't know what to do anymore. Local package 'rtl8723bs_4.12.0_amd64.deb' failed to install correctly. 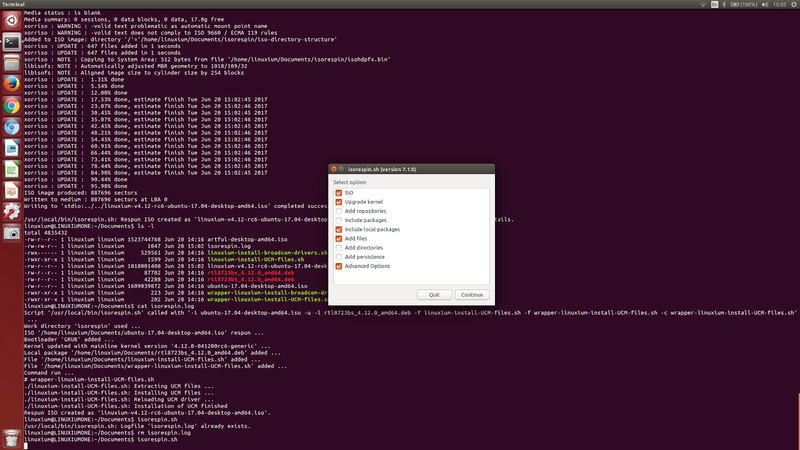 I have run the script in Deepin OS (it is now Debian based). When I said "I tried with both Ubuntu 17.04 and 16.04..." I meant I tried using Ubuntu 17.04 and 16.04 isos supplied to the script, not the script run on an Ubuntu system. Oh.. I forgot to mention.. Both isos I used was successfully installed on this system I'm trying to fix, so I guess it's not corrupted right? Can you try downloading this fix from 'https://goo.gl/mXd3vM'? All you need to do is download the file and make it executable ('chmod 755 fix-isorespin-deepin.sh') and then run it only once ('./fix-isorespin-deepin.sh'). It will create a locally executable script ('deepin-isorespin.sh') based on my original script but with a file permission change. You then run the modified script just like the original (e.g. './deepin-isorespin.sh -i ubuntu-17.04-desktop-amd64.iso -u --atom'). Let me know if this fixes the permission problem running on Deepin OS. ./deepin-isorespin.sh: Local package 'rtl8723bs_4.12.0_amd64.deb' failed to install correctly. You did a ls and looks like there is no "rtl8723bs_4.12.0_amd64.deb" file there. I think that's what you have to do just do a find on this page and it's all here to download. Put it in that folder. @Raymond: The file 'rtl8723bs_4.12.0_amd64.deb' doesn't need to be there as the '--atom' will download and install the latest version. The script doesn't work on Deepin OS as the version of 'curl' is returning its values differently to standard versions. @Gelo Tress: It seems the version of 'curl' installed on Deepin OS returns the value of 'Location' as 'location' so the file fails to download correctly. As I am not sure what a fix will break elsewhere I do not want to modify my script so I suggest you re-download the 'fix-isorespin-deepin.sh' from the previous comment as this now includes a working fix (I've had to test this out on Deepin OS) and try again. @Linuxium: It seems that the script finished successfully! Thank you very much! I'll be unto booting it live now! I got few warnings from xorriso I suppose that is normal since the script finished anyway? @Raymond: Yes I thought doing that may give a chance, I also had the option to change distro I'm running the script on, Linuxium gave the hint on that with his reply, however I thought he might also be interested on having this fixed for future purposes so I continued anyway, plus there is the use of curl and he did mentioned it (drivers, wrappers, etc) will be automatically downloaded if not found (under Target Processors section). But still though, thanks for at least trying to help. @Gelo Tress: You can safely ignore those warnings. I'll leave the fix available as a download in case you or anyone else wants to use my script on Deepin OS again or in the future. @Raymond: I should also add that your suggestion would have worked as an interim fix so thanks for your contribution. Although the Analog Output is an improvement from just being a "Dummy Output", it is still not working sadly.. Guess I'm one of the few unfortunate..
Sparc Techbook S1.. I think it may be a Chinese rebrand though so I don't that will help.. So maybe I can just provide some hardware info? I can do that after a while though.. Currently trying to install Ubuntu Mate 16.04. 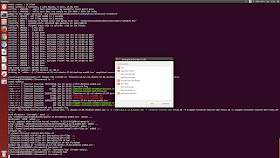 After booting post the 'dmesg' using 'pastebinit' or similar. This shows a v4.10 kernel which means you won't get the benefit of all the recent patches that fix Intel Atom issues. Respin your ISO with the '-u' and '--atom' options and then test to see what doesn't work. Yes I did that, and the result was what I posted, 5 replies before this reply In this same reply thread. There is no 'dmesg' for those issues though and updating the kernel and bringing in new issues makes diagnosis difficult. Start with the ISO that used '-u' and '--atom' and list the issues and provide the 'dmesg'. Oh okay sorry about that. Do I need to get the dmesg output from an installed respun iso or is it okay if I get it from a live USB? Lets keep it simple and use a LiveUSB that has been created from a respun ISO with the '-u' and '--atom' options and then the 'dmesg' and a list of what doesn't work for the LiveUSB on the Sparc Techbook S1. * Audio, output in settings is now Analog Output instead of "Dummy Output"
* Video files either locally or through internet doesn't play properly, either too fast (no audio) or doesn't play at all. * Audio files doesn't play, multiple attempts via several ways resulted in the music player (Rhythmbox) to not launch anymore. * Bluetooth settings reports no Bluetooth adapter found (Bluetooth works on Windows). * SD card slot doesn't work but only once, it somehow worked when I was trying to test the opening / closing of lid to see if the laptop screen would respond, I may try this again. Sorry I took this long before I replied. I was having some troubles with the new distro's I'm testing in this device, had to revert to DeepinOS as it's working better with isorespin.sh and because I have tried it there already as well. Gelo, Linuxium, im in the same situation. any updates in this case? Carlos, I'm trying to get the drivers source file of mine from the company I got this notebook of mine. I don't know if it will help, but I'm trying anyways In case it is needed. You think you can get yours as well if ever you needed to? This device has an Intel Atom x5-Z8350 But maybe we have the same hardwares aside from the CPU. Linuxium, just to give info, I somehow got the bluetooth to work on Deepin using the firmware you provide, the rtl8723bs.deb. The WiFi also worked more properly. I even downloaded the rtl8723bt.deb thinking it was for the bluetooth, I did not installed it though. I paired it with a Bluetooth speaker and was so happy to hear the audio working (lol) through system sound effects (changing vol. etc..). I then tried to play YouTube videos, the videos played with sound, however it would go sluggish at some point and then return on playing fine). Sadly I still haven't got the sound card to work properly, not even the audio jack..
Ohh and I meant to say comparing Deepin with latest kernel vs Ubuntu with latest kernel. The Bluetooth message also goes multiple not just one line, x != 5 with x being any number, so far just one digit I found. 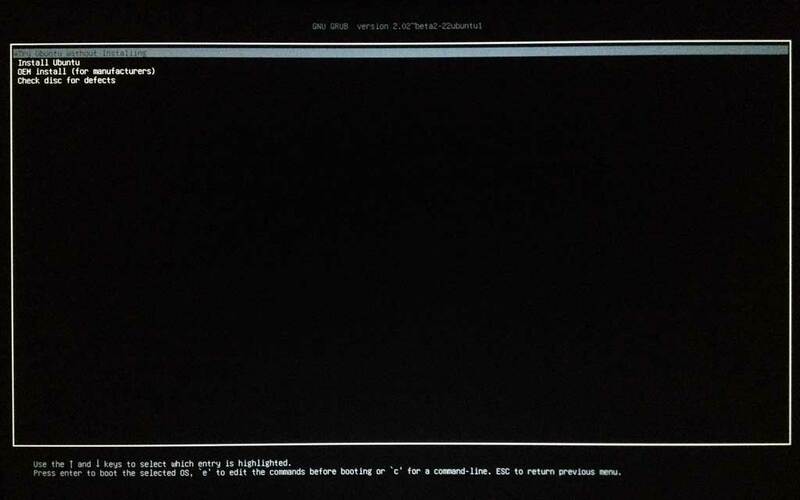 Did you try restarting the services using 'systemctl' when booting from the ISO? 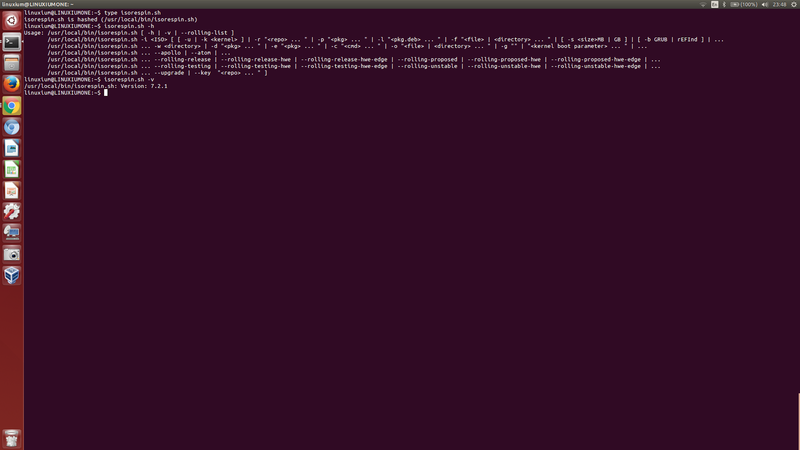 Also try adding '-g intel_idle.max_cstate=1' when respinning to see if it helps. systemctl? No I didn't, for which is that command for? I tried the intel_idle_max_cstate=1 in the grub boot edit. Sadly it didn't help, I'll try your way though maybe it will. This package contains the binary firmware for Intel SST sound DSPs supported by the snd-soc-sst-acpi or snd-intel-sst-acpi driver. I hope these might help? Thank you again. The 'systemctl' command is 'sudo systemctl restart rtl8723bsbt.service' and this maybe required to get wifi working on RTL8723BS devices. For sound there is not much I can do as I don't have the device to be able to test on unfortunately. Ahh I see, it's fine. Sound and SD Card slot is the only thing that needs fixing, guess I'll either wait or try something else. Anyway thanks for the help so far, been a long one, wouldn't have done it without your help. It may be worth trying the Ubuntu 17.10 Beta 2 ISO I've just uploaded (see 'http://linuxiumcomau.blogspot.com.au/2017/09/ubuntu-1710-beta-2-releases-for-intel.html') in case it helps. At lest I know what curl does it's like ipconfig that get's your LAN IP but curl can get your WWW IP address. Maybe good to know to fix this. If you know how something works then can know how to fix it. I got a "emailipaddr.sh" script that will e-mail me if my IP changes. I got this working on a Nuvision 8" table. I loaded live Ubuntu and dd backed up the Windows 10 and Android on it. Then installed it. All works but it don't find the WiFi. Will I have to remake a ISO with some command added to it? I did this command if is shows what WiFi is in it. It's a model TM800W610l if that helps. It may be a 43430r0 wifi chip set in it. I get no blue-tooth ether. 'Bluetooth issues' above using 'brcmbt.service'. I now do get a Bluetooth icon and I click it on and it find nothing and I looked for bluetooth on my cell phone and it can't find it. So looks like bluetooth is not working. But at lest the icon comes up. If I unplug the USB to Ethernet then a Wifi icon goes in it's place but it don't list any WiFi. Maybe I can make a ssh login for you and can look at it? Just post URL to the 'dmesg' using 'pastebinit' or similar to start with. Is there a WiFi driver for that? The 'dmesg' doesn't show the entries like 'brcmfmac' and 'Bluetooth' you mentioned earlier. Is this the same device with the same problem? Well what command would show what the WiFi and Bluetooth is? I think it my be a "BCM4356" I did a hwinfo > hardwere.txt and looked at the file. If the "BCM4356" is right for WiFi how would I install it? If I have to make a new ISO I can. O yes this is not the same device. The other one is a Winbook and it's working real good. I pulled the ribbon cable from the LCD display on that one so I wanted to see how it works on a NuVision tablet. Seems to work good just need WiFi and Bluetooth working. It only has one USB port. It can't charge and use a OTG at the same time. At lest I have not found any way to do that. Sep 14 20:00:59 NuVision systemd: Failed to start RTL8723BS Bluetooth daemon. 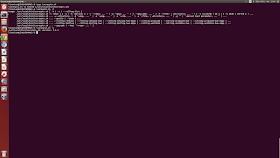 Sep 14 20:00:59 NuVision systemd: rtl8723bsbt.service: Unit entered failed state. 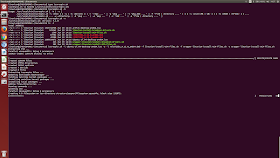 Sep 14 20:00:59 NuVision systemd: rtl8723bsbt.service: Failed with result 'exit-code'. ./isorespin.sh -i ubuntu-17.04-desktop-amd64.iso -u --upgrade --atom -f linuxium-install-broadcom-drivers.sh -c wrapper-linuxium-install-broadcom-drivers.sh -p "ssh openssh-server inxi lamp-server^"
Guess got to load the live Ubuntu and DD copy back Windows backup and get the WiFi file out of it's RAM. 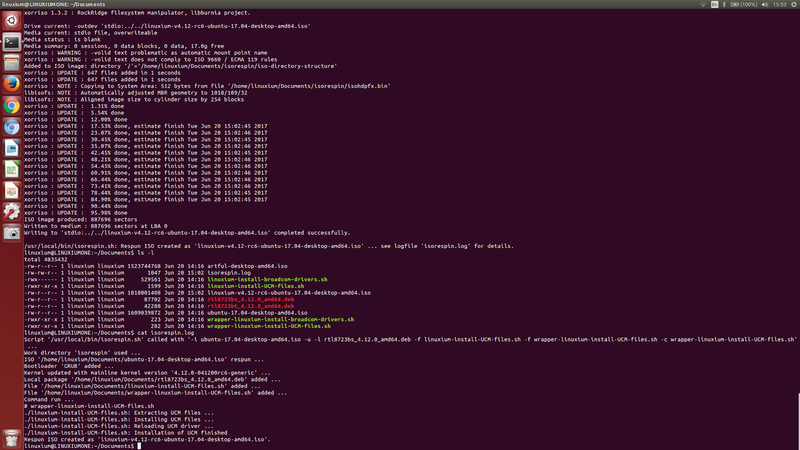 Copied it and named it brcmfmac43241b4-sdio.txt and put it in /lib/firmware/brcm/ and rebooted but still no WiFi. "Upgrade the kernel to the latest or to a specific version to benefit from recent patch functionality e.g. for audio and wifi/bluetooth." How do I know if I have the latest kernel? Can I pick some other .iso to start with? Or how do you do it. I guess it my say. I am still reading. For kernel version. Type it in the terminal. Note that it will give the current kernel of the distro you are using, the one where the terminal is run on, not of that of any iso file. "-u or --update will update the kernel to the latest Ubuntu Kernel Team kernel builds located at http://kernel.ubuntu.com/~kernel-ppa/mainline." I seen there is Ubuntu 17.04 and then 17.10 so if I used the "-u" it should be the same as 17.10 then? That doesn't necessarily be true.. the -u flag only updates the kernel and nothing else. Other packages remain the same regardless. Please reply on your own comment thread as it is harder to keep track on topic and makes the comment section convoluted. er-linuxium-install-broadcom-drivers.sh -p "ssh openssh-server inxi lamp-server^"
Will not have time to install it till later but hope it will make the WiFi work on this install. I need a full 'dmesg' and 'isorespin.log' list from your next attempt plus, if possible, a link to the manufacturer's website for the device if wifi still fails. Respun ISO created as 'linuxium-v4.13-artful-desktop-amd64.iso'. That image I could not install it would blank the LCD screen but I could plug in the HDMI and get a screen on that but only a bank screen and could move the mouse around. I could left click and open a terminal on the HDMI screen not about nothing else. I guess it had the install on the other window that would be the tablet LCD. That was just blank. So what would be a good ISO to make for this? I guess the 17.04 one? This one is like 17.10 that don't work on the desktop good on this system. This person showed on YouTube got Ubuntu running on it and all the comments said they can't get WiFi or Blu-tooth to run on it. Wifi probably fails as your local script '/media/500GB/make-new-iso/linuxium-install-broadcom-drivers.sh' has the wrong permissions (needs to be executable). Also the '--atom' option includes these scripts automatically so your command really should only be './isorespin.sh -i artful-desktop-amd64.iso -u --upgrade --atom -p "ssh openssh-server inxi lamp-server^"'. Hi, and thumbs up for this work! :) Are you planning support for 32 bit ISO's ? No. Because 32-bit ISOs are being phased out by distros and there is really no need as my 'isorespin.sh' script adds a 32-bit bootloader which will then boot a 64-bit ISO. Does this isorespin.sh replace (or work similar to) Refracta, which also creates an ISO of a modified installed system? Not really. My 'isorespin.sh' script is different to 'Refracta' (or 'refractasnapshot') as it is about respinning (or customizing) an existing ISO with additional functionality and/or updates/upgrades and not about creating an ISO from an installed system. I'm trying with an Acer Iconia W510 and I get : No suitable video mode found. Booting in blind mode. And it does's do anything from there. What distro, verion are you booting at? Ubuntu 16.04 didn't work for me but 17.04 did. Other distro might work as well. Surprisingly other Ubuntu 16.04 variant boots up for me but not the main Ubuntu 16.04, maybe you could also try other variant / distro? 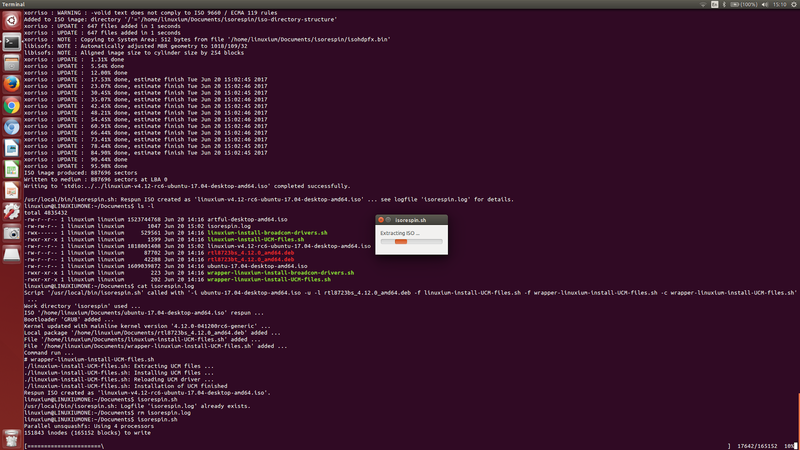 You need to respin the Ubuntu ISO and upgrade the kernel to v4.12 or later to get audio working on the STCK1AWFC. If you also want wifi then you should add the '--atom' option as well. It is easier just to ignore the 'no mode found, booting in blind mode' message as it doesn't matter. Most likely because 'grub' isn't compiled with the 'vbe' module. It is easier just to ignore the 'no mode found, booting in blind mode' message as it doesn't matter. Any ideas im complete noob, im trying this on a virtual box with ubunto installed. Make sure you have downloaded the latest version of 'isorespin.sh' (v7.3.4) and then try a simplified command of 'isorespin.sh' called with '-i /home/ryan/lubuntu-17.04-desktop-amd64.iso --atom -u -s 2048MB -w /media/ryan/usb' as you seem to have confused how the options work. 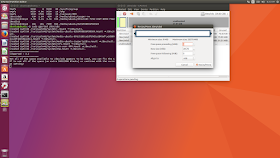 After creating the iso and installing on the compute stick, will it be able to get kernel updates from Canonical with apt-get? Or should I recreate the iso in order to do that? 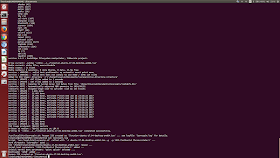 My script doesn't alter how Ubuntu works so yes you will be able to get kernel updates from Canonical with apt-get but bear in mind any implication of the kernel version and release you are running as per standard Ubuntu operation. I see the ISO isn't available anymore, so I tried making my own with this script. 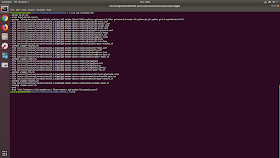 I used Ubuntu 17.04 with the latest version of the script applied Atom patches and updated Kernel. I tried several USB 2.0 and 3.0 sticks, updated BIOS, boot live or installation.. nothing. I even tried building an ISO without updated Kernel.. nothing. My Stick is the STK1AW32SC btw. 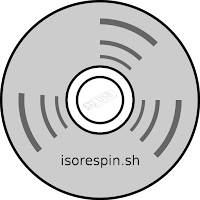 Post the 'isorespin.log' you created and the command you used to write the ISO to your USB. Any idea if it's practical to modify isorespin.sh to support pfsense (pfsense.org) on a Kodlix AP42? As 'pfsense' is based on FreeBSD there may be quite a lot of work required. The built-in wifi card didn't manage to get a decent signal, so I bought an Edimax usb wifi which works fine. ALERT ! /dev/mmcblk1p2 does not exist. Dropping to a shell! Any ideas why this is happening? I have blacklisted the realtek kernel module for the built in wifi, but it didn't solve this. ./isorespin.sh -i lubuntu-16.04.3-desktop-amd64.iso -u' but note you'll also loose bluetooth as well.